Today I spent some time this afternoon getting caught up on taking some more photos of my animal wall hangings. I previously took quite a few photos only to find after that the lighting wasn’t that good. 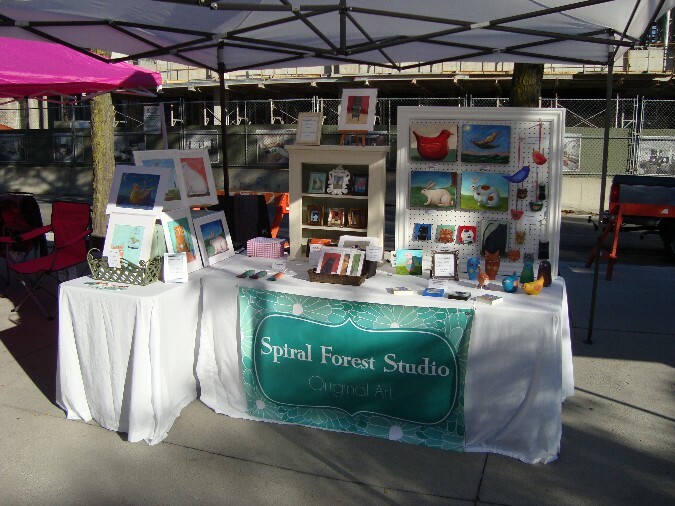 Now that I have some new photos I will be gradually adding some wall hangings to my website. 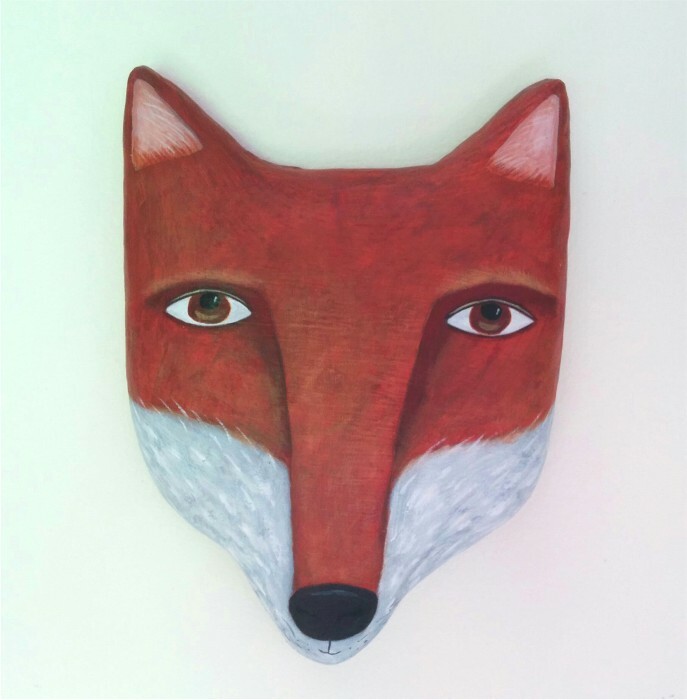 Today’s offering is Mr. Fox. 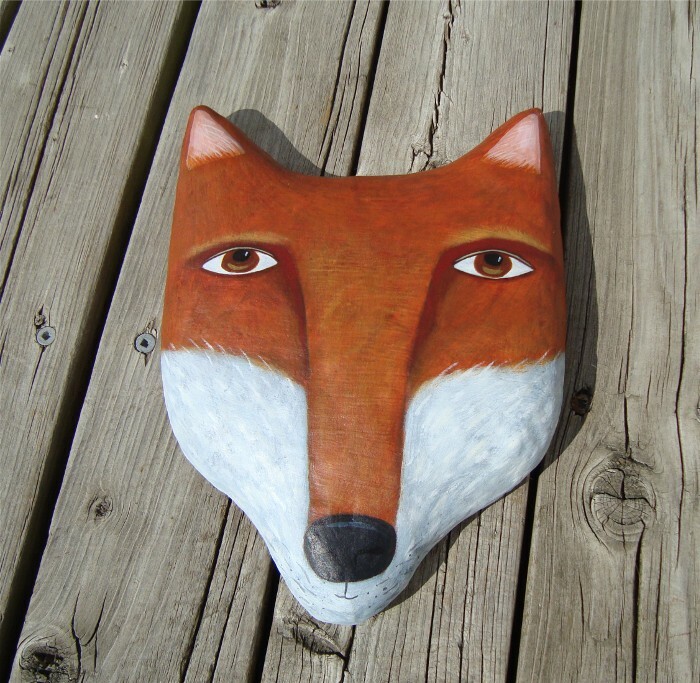 He is made with paper mache and paper clay and is painted with acrylics. If you are interested you can find him here at my website. For the past couple of days the weather has been unseasonably mild. Today it was 23 degrees Celsius which is crazy for Canada in November! 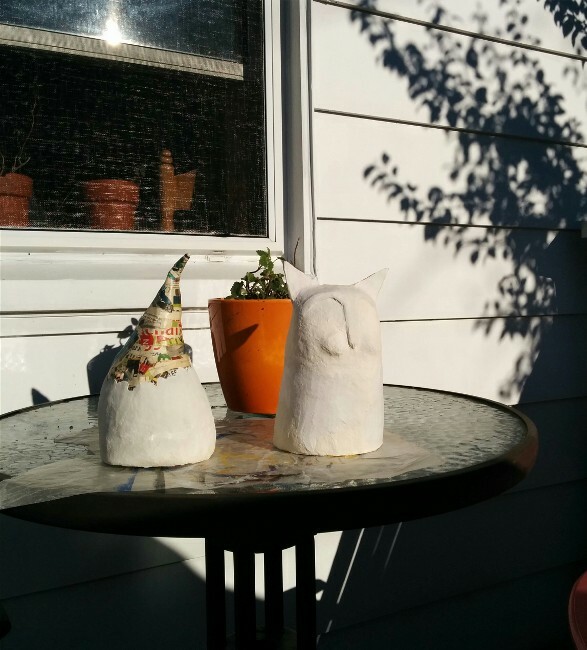 With the weather being so warm it was perfect for working on paper mache projects. I have several that have been in the works for quite a while and today I made some progress on a couple of them. Prior to this picture both of the sculptures were built up using newspaper and tape to form the body. The next step was to add a couple of layers of paper strips and glue to give the body some stability. At the current stage I am adding some paper mache clay over top to further solidify the sculpture and to provide the added extra details. For the paper mache clay I am using Jonni Good’s recipe which she shares at her website www.ultimatepapermache.com. It is an absolutely fantastic site and I can’t say enough good things about it. You can see from the photo below that I still have a fair amount of the crow to cover with the clay. The cat however is pretty much done with the clay and after it has dried I will check it out and see if it is ready for the next stage, which is painting. Hopefully it won’t be too long before I have another update on these two creatures! There is something so lovely about a white cat! Personally I find they give an impression of sweetness and peace. For this reason I really enjoy painting them and I find I often want to place them in scenes that are calm and tranquil. 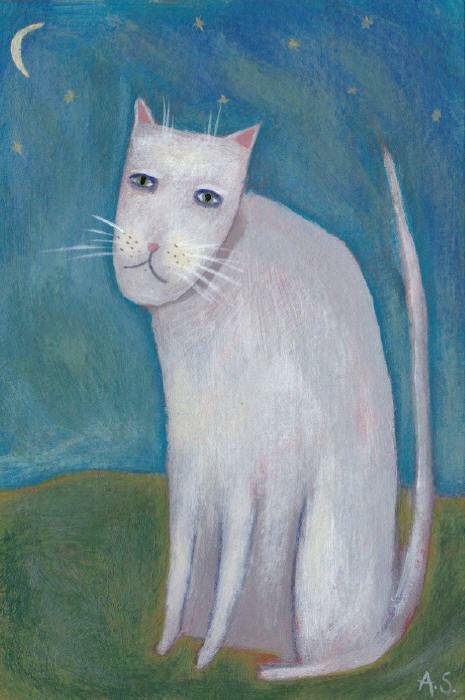 With this particular painting, my white cat ended up outside under a soothing night sky with a lovely moon and twinkling stars. I completed this painting with acrylic paint on watercolour paper. It measures 4 x 6 inches, a perfect size to put into a photo frame. 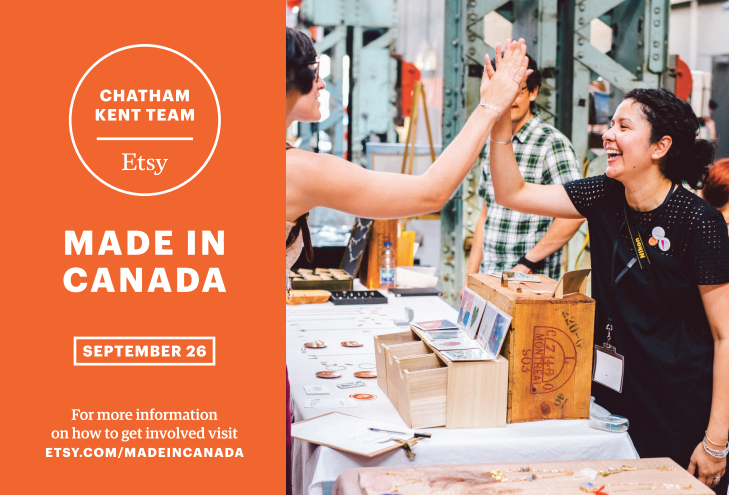 You can find it in the shop on my website here. I have recently finished an overhaul of my website and have been adding in a few more items to my online store. Today I added this little guy to the shop. 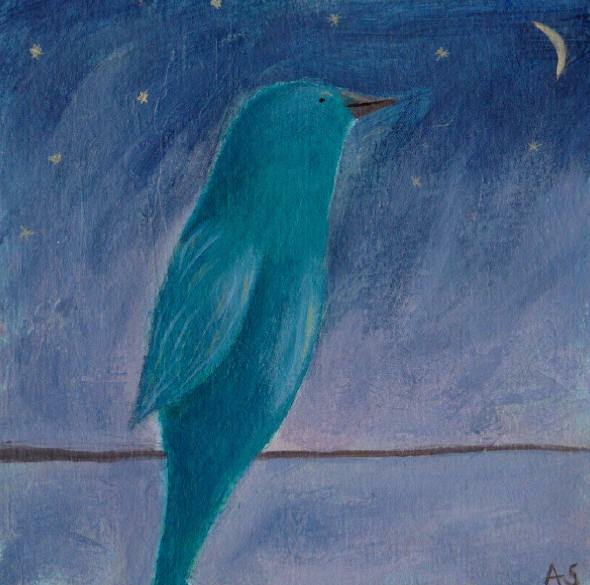 This painting features a sweet turquoise bird that has found a new perch that is just perfect for staring at the moon. 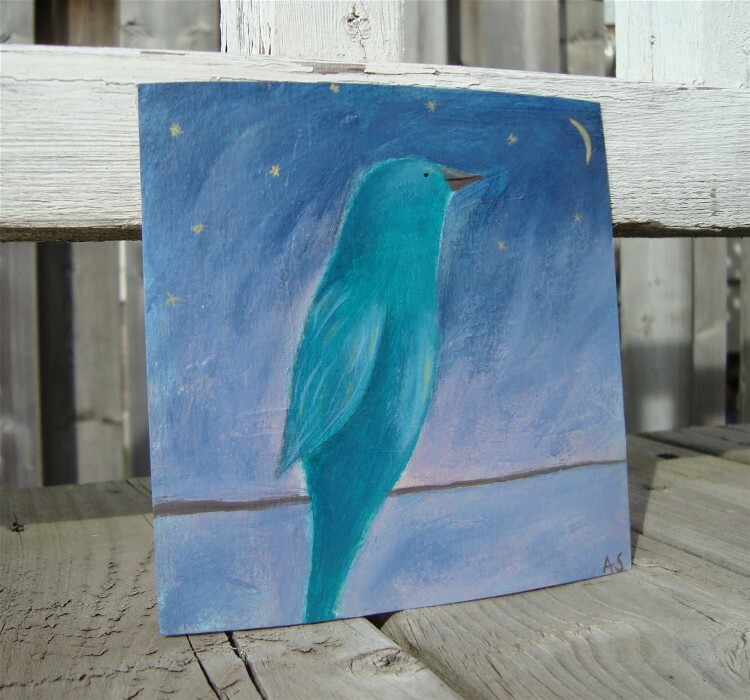 It is titled Moon Perch, has been painted with acrylic on paper and measures 4.5 x 4.5 inches. You can find him in my website store here or in my Etsy store.